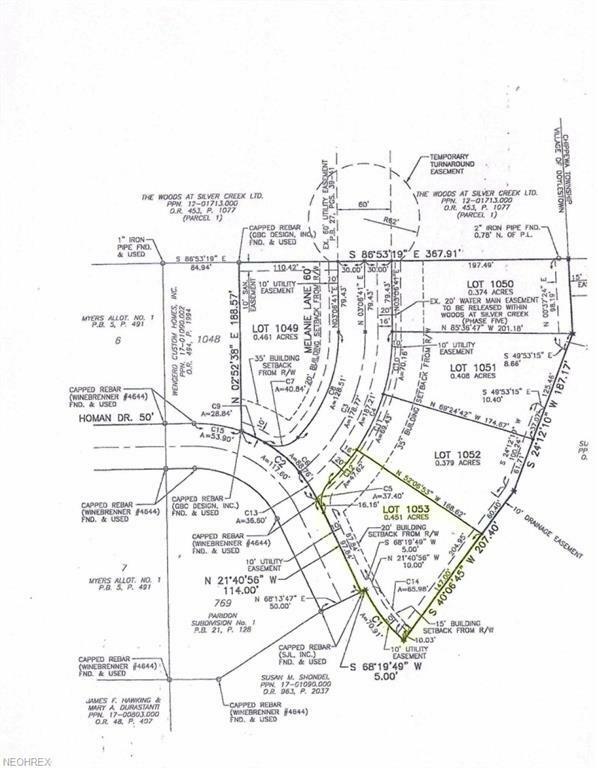 0.451 Acre corner lot in The Woods at Silver Creek subdivision in Doylestown near HWY 585. 13 miles to Fairlawn, 18 miles to University of Akron. Site ready to build with public water and sewer. Will build to suit.